Natalie Kane is a curator, writer and researcher based in the UK. She was curator of FutureEverything and Impakt, and holds a research position at futures lab Changeist. She is co-founder of Haunted Machines alongside Tobias Revell, a curatorial research project exploring the use of magical analogy and narratives in technology. 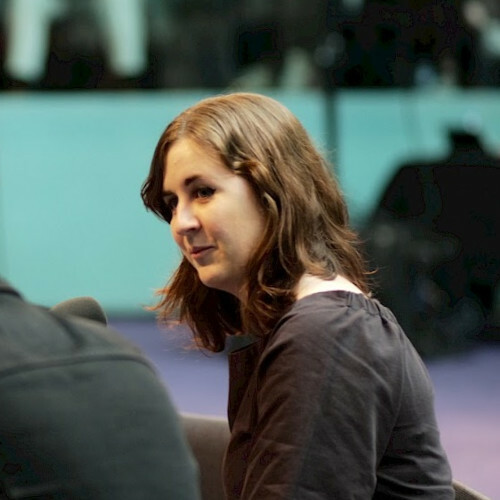 Natalie Kane is now Curator of Digital Design at Victoria and Albert Museum London. She is responsible for defining a new approach to collecting and exhibiting digital design for the museum, as well as taking on responsibility for the care, research, display, and interpretation of the Museum’s digital design collections.